Classic Car Show at Houghton Rocks Music Festival – Saturday 1st September 2018. 2 Concorde Classics car show, held in the Concorde Club Eastleigh between 7.30am to 1pm. September 2018 meet, as well as our normal eclectic and marvellous mix of all ages and marques of vehicles we would like to encourage owners of “Rare Breeds” to attend as well. Past Rare Breeds 100 exhibitors will be contacted in due course directly with further information. Join us for a feast of Pick-ups, Convertibles, Chevys, Hard Tops, Soft Tops and Roadsters representing the best American cars around. This weekend Show celebrates some of the UK’s leading manufacturers including DAF, Scania and Volvo. See an array of the best modern classic trucks produced between 1970 and 2000. For ticket prices and more details please visit our website. The third in a series of four talks by Museum Curator Matt Piper, Matt draws upon his many years’ experience as Curator at the Museum as well as his natural and contagious enthusiasm for all things motoring related to deliver a thought provoking, fun and informative talk. Matt’s delivery style is informal and he welcomes an interactive audience. Edenbridge Motor Show we just wanted to give you an update on what is happening to make this the best show yet. As well as the many individual cars and clubs who have already registered, this years show will feature the best music offering we have had featuring The Derek Nash Band performing their tribute to the music of Stevie Wonder, Some Kinda Wonderful, excellent local band Don't Ask, as well as the Town Band performing with Forge Singers. Monster trucks as well as favourites Mud Monsters and plenty for the kids in the kids zone. Thank you to all those who have already registered but we are still booking in stalls for the market and trade stands and we are busy dealing with car and bike entrants so get in touch if you are interested in being part of this highlight in the Edenbridge calendar and follow the links below to get a taster of what to expect. Gamlingay First School, Green End, Gamlingay, SG19 3LE. Isle of Wight Classic Car Extravaganza. Saturday Newport Town. Sunday Ryde Esplanade. Over 700 classics on show and ferry concessions available so pre booking essential call Victor Gallucci 02084397871 or email vicgallucci1@gmail.com. Fancy a weekend surrounded by 100s of drool-worthy Land Rovers, 1000s of Land Rover parts to buy, and the best Land Rover entertainment on the planet? The LRO Peterborough Show is the biggest Land Rover celebration of the year, so put 15-16 September 2018 in your diary now. Then, head to our tickets page to book your tickets – you’ll save £££s and guarantee your place at the only show worthy of the Land Rover Owner International name! This is the fourth lunchtime meet and natter in Hampshire from 11.30 am on the 18th September at the Milbury's, Beauworth, Alresford. Hampshire SO24 0PB, Halfway between Bishops Waltham and Alresford, Plenty of parking, good home made food, all classic vehicles welcome, just bring the good weather with you. Off A510 & A14, Cranford, Nr. Kettering, (sat nav) NN14 4AW. This year it is on Sunday 23rd September 2018, starting and finishing at Milestones Museum, Basingstoke. Our FAMOUS delicious doughnuts will be available, yet again, with a tea or a coffee, included in your entrance fee, as you register and on your return there will be a cream tea available at a mere £5.00 per head, which you must book when you return your entry form. You will also receive a plaque to display on your vehicle. As always there will be stopping points en route if you wish to have lunch or brunch or just a break. Our charity this year is SERV Wessex, better known to us as Blood Bikes. you will find more information on our new website Basingstoke MG Owners Club. March Autojumble and classic car gathering at The Duchy College Stoke Climsland NrCallington Cornwall. Opens at 0930 --1400 entry £2 and all profits go to nominated local charities.Refreshments and hot food available. For further information contact Ross Wood on 01822 860464. 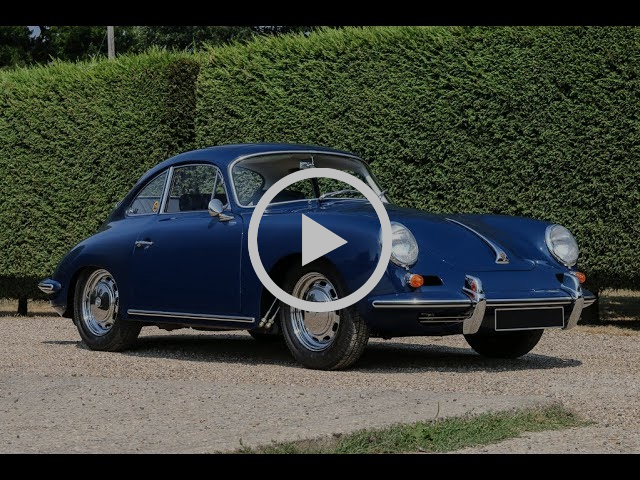 There is just one week to go before our annual Porsche Sale in association with Porsche Club GB and our new September Sale coming, for the very first time, from the prestigious Dallas Burston Polo Club. 42 incredible Porsches and 51 quality classics will be offered for auction on Friday 28th and Saturday 29th September. FREE entry for viewing. *For those wishing to showcase their vehicles it will be £5 minimum donation to our chosen charity. 30 THE P-15 PICNIC The Shuttleworth Collection, Old Warden Aerodrome, Biggleswade SG18 9EPThe UK’s only meet for 1946-1948 Plymouth, Dodge, DeSoto and Chrysler Cars. Preserved and restored cars, rods, customs and works-in-progress all welcome. 30-minute cruise to Old Warden departs from local hotel at 10am. Call Dean on 07802 355025 or email Robin@RockTheJoint.com for info. American Car Show – Sunday 30th September – All American content from vintage 40’s and 50’s classic to modern day types. Light Refreshments, Lunches and Licenced Bar. Come and enjoy a great day out with hundreds of classic cars and motorcycles to admire, lots of Autojumble stands, a live band to listen to, children’s entertainment and a huge variety of food stalls to choose from. Largest Land Rover autojumble in Europe plus added vintage autojumble, over 800 plots!